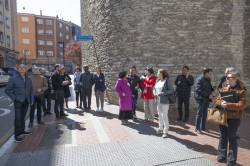 Joining the SmartEnCity Workshop Day will enable the participants to understand the Integrated Energy Planning concepts and methods and to apply them in real life. Our Lighthouse Cities will talk about their experiences, the challenges and threats they encountered when they were setting up their Integrated Energy Plans. In addition, attendees will be introduced to the City Information Open Platform (CIOP) – another main result of and developed within SmartEnCity project – an innovative online platform, ready to be applied in order to manage the big data of a smart city. Interested in more details? Have a look at the agenda. Please find attached the preliminary agenda for the SmartEnCity Workshop Day. Interested? Use this link to register. Deadline is 22nd May 2019.